Dr. Christopher Lee is a renowned interventional radiologist in Walnut Creek, California. He received his medical degree from David Geffen School of Medicine at UCLA in 2003. After getting his medical degree, he did an internship in internal medicine between 2003 and 2004 at Kaiser Permanente Los Angeles. 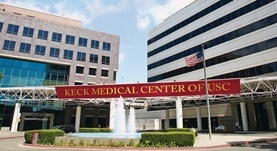 Dr. Lee completed his medical education with a residency in diagnostic radiology between 2004 – 2008 and a fellowship in thoracic imaging between 2008 – 2009, both at UCLA Medical Center. He is certified by the American Board in diagnostic radiology, vascular & interventional radiology and his subspecialty is general radiology. This doctor is affiliated with multiple hospitals in the area, including: Alameda Hospital, San Leandro Hospital, San Ramon Regional Medical Center and Alta Bates Summit Medical Center. He is a member of the following medical groups: American College of Radiology, California Radiological Society, American Roentgen Ray Society, Radiological Society of North America, Society of Thoracic Radiology and North American Society of Cardiac Radiology.